News organizations produce a lot of coverage, and with nearly all of it living online now, it’s easier than ever for publishers to update, promote, and re-use stories from their archives. This week in Solution Set we’re going to look at how one publisher, The Conversation, approaches updating its old stories. The Conversation has a unique model — it publishes articles from academics and releases them under a Creative Commons license— but there are lessons here for all types of news organizations. Solution Set is a weekly report from The Lenfest Institute for Journalism and the Solutions Journalism Network. Every Thursday, we take an in-depth look at one funky thing in journalism, share lessons and point you toward other useful resources. • The Challenge: The Conversation wanted to find a way to better respond to the news cycle and other breaking news scenarios. • The Strategy: The site regularly updates and promotes archival stories to commemorate holidays and special events and also to respond to breaking news events. • The Numbers: Its most regularly updated story is an article on mass shootings, which has been amended four times. • The Lessons: When re-using archival stories, publishers should be clear with readers that the story was previously published and has been updated. • The Future: The Conversation wants to further systematize its use of archival coverage. 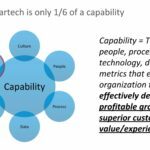 • Want to know more? : Scroll down for some more examples of publishers mining their archives for new coverage. The Conversation is a global nonprofit news organization that publishes stories written by academics. These experts have deep knowledge on topics that are in the news and on subjects that are generally of interest to readers. The Conversation’s goal is to make their work more accessible to the broader public. Just yesterday, The Conversation published a story by an Arizona State law and political science professor on whether President Trump has violated his oath of office; a piece looking at the benefits of American trade with Europe by an economics professor from the University of California, Merced; and an article by a University of Connecticut professor of health sciences on the danger of tanning beds. While its work with academics gives The Conversation easy access to world-class expertise on a range of subjects, its reliance on outside writers does come with some challenges, including the fact that it can often be tricky for it to reply to breaking news given the fast pace of relentless news cycles. The Conversation’s staff recognizes that readers aren’t coming to the site for breaking coverage, but The Conversation wants its analysis to be relevant to the news cycle and to provide readers — and its publishing partners — with additional context and background on the news of the day. In recent years, The Conversation began looking inward for coverage: If it couldn’t get a fresh story immediately, could it update and re-use what it already has published? The Conversation regularly updates stories from its archives, and Joel Abrams, The Conversation U.S. manager of media outreach, told me the site has two main strategies when it comes to repurposing coverage. It’ll peg evergreen coverage to recurring holidays and events. On the 4th of July, The Conversation re-ran a story about fireworks. On Easter, it reused a story about the etymology of the holiday’s name. And on Static Electricity Day (celebrated annually on January 9 — mark your calendars for 2019), The Conversation re-published a story on, you guessed it, static electricity. The Conversation has a steady rhythm of these types of evergreen stories, but it focuses most of its archival work on updating older stories to remain relevant to the news cycle. Sometimes a piece will be pegged to an earlier news event and will need to be updated for new developments. Other times it’s just a more general story and something happened in the news to make it relevant again. Typically, the site’s editors will add in a few sentences to update the story to the latest development, double check to make sure everything in the story is still accurate (more on that in The Lessons), and then publish the story and send it out to The Conversation’s partners. It’s worth noting also that sometimes the stories themselves won’t need updating, and then The Conversation can just promote them again on social media. If a story is just getting one or two sentences added to it, The Conversation will keep it on its original URL, but if it’s making more substantive changes it will often create a new article. • Earlier this year, The Conversation published a story from researchers who had done a study on the lack of diversity in President Trump’s judicial nominees. After Justice Anthony Kennedy announced his retirement last month, The Conversation updated the story and ran it again. “We just updated the first two grafs saying it was likely that he would appoint a white man as his record has shown thus far,” Abrams said. 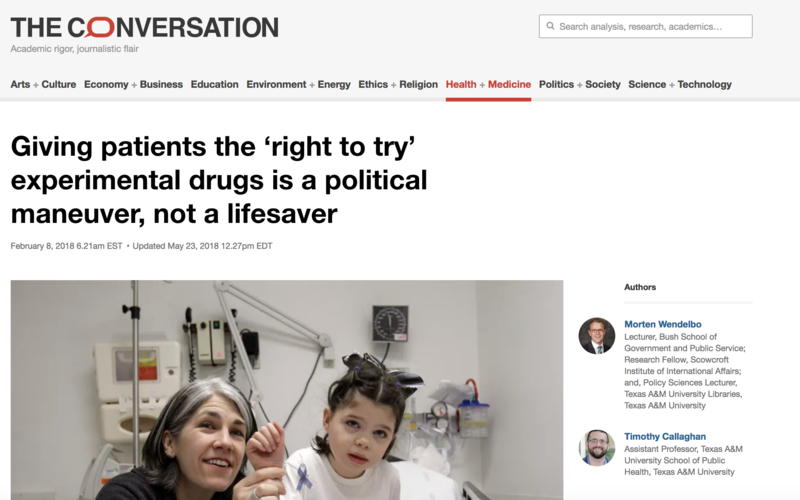 • In February, The Conversation published an article about pending “right to try” legislation that would give terminally ill patients the right to access experimental treatments that haven’t been approved by the FDA. It updated the story in March when Congress began work on the bill and again in May when Congress actually passed it. Trump signed the bill into law a week later, and CBS News reached out to Abrams about updating the story again. The final version got the most pageviews of any version, he said. The Conversation publishes about eight to 10 stories per day. Abrams said he couldn’t quantify the number of archival and evergreen stories the site re-publishes but he said it’s a “small proportion” of its coverage. But since The Conversation launched in the US in 2014 (it debuted in Australia in 2011), it has published more than 6,000 articles and it says it has relationships with scholars at more than 625 colleges and universities around the world. The site has a deep well of stories to draw upon, but it will sometimes reuse the same story multiple times. The story “5 things to know about mass shootings in America” has been updated four times, most recently in May after the shooting at Santa Fe High School in Texas. “Sadly, that story is not just evergreen, but the facts pretty much haven’t changed,” Abrams said. 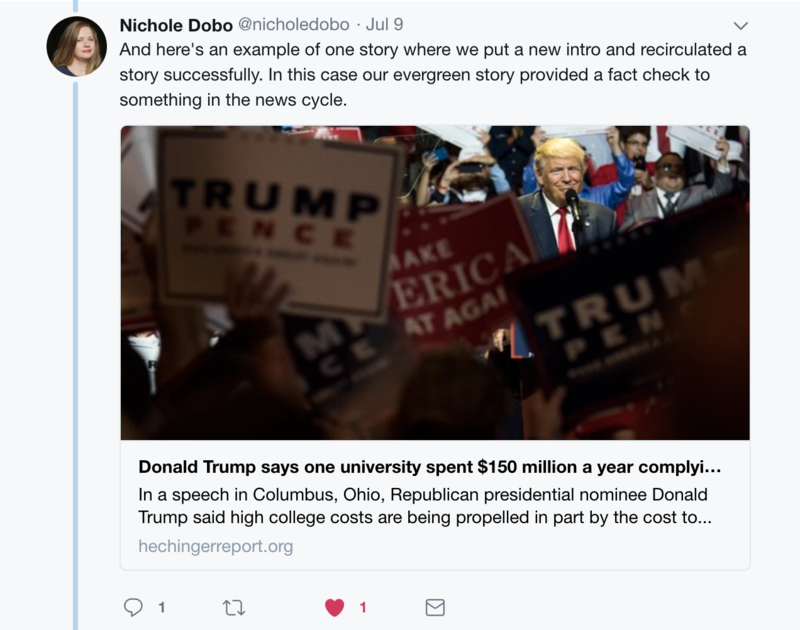 • Be transparent: Nobody likes to feel duped, so as you’re thinking about ways to re-use archival coverage, it’s critical that you’re transparent with readers. Every Conversation story that is updated will either show when it was originally published and updated just below the headline. It will also include the details in an editor’s note at the bottom of the story. While it’s important to let readers know that the story they’re reading was updated, readers mostly don’t mind reading archival stories, Abrams said. “This information is new to the vast majority of readers out there in the world and even the people who did read it, most people consume so much online content that it’s very ephemeral and they might not even remember that they read essentially the same article,” he said. • Work with writers: Before it republishes any of its old stories, The Conversation will check with the article’s author to make sure they’re okay with the updates. Sometimes that means an editor will insert a few lines and other times the author themselves will add new material. Regardless though, the site always checks with them to make sure everything is still accurate and up-to-date. It goes without saying that accuracy is paramount to news organizations so if you’re thinking about updating old stories, be sure to keep that in mind as well. • Stay organized: News organizations publish so much coverage these days that it can be a challenge to keep track of it all and to remember what old coverage might be worth surfacing again. For the more evergreen and holiday-based coverage, Abrams said the team uses Google Calendar reminders. So in early January next year he’ll get an alert to remind him that Static Electricity Day is coming up and The Conversation happens to have a shocking story that could get some sparks of attention if it gains friction on social. The Conversation’s process is less systematic when it comes to breaking news stories. Abrams will just consult with the site’s editors to see if they remember any particularly relevant stories. Abrams and I spoke last Friday after the Justice Department announced new indictments against 12 Russians for meddling in the 2016 election, and that afternoon Abrams asked some of the site’s editors whether previous stories on Russian hacking could be re-used. Abrams also said he enlists The Conversation’s interns to help find evergreen stories that are worth re-promoting. There are also an array of tools you can use to help identify stories that might make sense to republish. Conversation UK community manager Khalil A. Cassimally also introduced Abrams to the social media scheduling tool MeetEdgar. He now uses it to schedule archival stories for promotion on Facebook. The Conversation has no plans to stop what it’s currently doing. Abrams said the site is continuously thinking about how it can improve its processes, make its coverage even more resonant, and expand its reach and partnerships with additional partners. If it’s re-upping an evergreen or archival story that didn’t do as well as it would have liked the first time around, The Conversation will sometimes try new headlines or use different art to see if there is anything it can learn about how to build its audience. And ultimately, at the end of the day, Abrams said his goal is to ensure Conversation stories reach and help as many readers as they can. 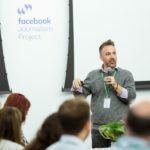 “I focus most of my effort on what stories can we contribute that are going to help publishers help their readers understand what’s going on in the news,” he said. Earlier this month I asked people on Twitter to share examples of publishers who smartly utilize their archives. • HuffPost Canada’s Ron Nurwisah pointed me to a couple of publishers, including The Atlantic, The New Yorker, and Esquire Classic, a subscription site the men’s mag runs to highlight its old stories. I wrote about the site’s launch in 2015 for Nieman Lab. How’s your newsroom using archival coverage? Do you know any cool examples from other publishers? Let me know! Creative Commons photo of the Danish Broadcasting Corporation’s VHS archives by DRs Kulturarvsprojekt.